The Simon Wiesenthal Center, which investigates Nazi war criminals, has published its latest list of its most wanted surviving suspects. Those on the list are “wanted” because they have not been punished, even if they have extradition orders against them or have been tried and convicted. In some cases it is unclear whether they are still alive. They remain on the list until it is proven that they are dead. Resident in Austria. Former Croatian police chief, accused of role in deporting hundreds to their deaths. Extradition to Croatia was requested in 2005 but was refused on medical grounds due to dementia. Resident in Syria – possibly dead. Commander of Paris internment camp, deported thousands to death camps under orders of Adolf Eichmann. Convicted in absentia in France but never punished. Resident in Germany. Arrested Jews who were later murdered by Nazi collaborators in Lithuania. Deported from US. Convicted by Lithuania and sentenced to jail – but sentence was not carried out. Resident in Germany. Sentenced to death in the Netherlands for murdering prisoners at Westerbork camp and Groningen prison but sentence commuted to life imprisonment in 1948. Escaped to Germany in 1952. German courts currently considering an arrest warrant issued by Dutch authorities. Resident in Estonia. Accused of participating in murder of Jews. Stripped of US citizenship and fled to Estonia where he has remained under investigation for several years without charge. Believed dead. Doctor who experimented on prisoners at Mauthausen camp. Reports suggest that he may have died in Cairo in 1992, but his death remains unconfirmed due to a lack of evidence. Resident in the US. 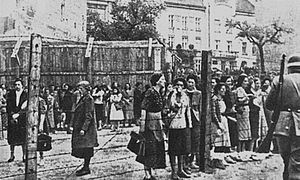 Accused of participating in the murder and deportation of Jews living in the Lvov Ghetto. Ordered to be deported from the US for concealing his wartime activities. Remains in the US until a country volunteers to admit him. Resident in Germany. Accused of murdering an anti-Nazi newspaper editor. Indicted in Denmark but two extradition requests have now been refused by German authorities. Resident in Hungary. Accused of mass murder of civilians at Novi Sad, Serbia. Convicted in Hungary in 1944 but never punished. A new investigation has led to an indictment against him for war crimes and a trial is scheduled to begin in May. Resident in Germany. Accused of serving as an SS guard at the Treblinka I concentration camp and to have participated in executions. Under official investigation by prosecutors in Germany following the discovery of witness statements about his role at Treblinka. Resident in Germany. Accused of participating in the massacre of 560 civilians in the Italian village of Sant’ Anna di Stazzema. Convicted in absentia by an Italian military court in 2005. Has been under investigation in Germany for almost a decade but so far without charge. Resident in Australia. Accused of participating in persecution and murder of Jews. Successfully appealed against extradition from Australia to Hungary, but the decision is under review following an appeal by an Australian government minister. Martin Bormann — Guilty, sentenced to death in absentia. Later proven he committed suicide to avoid capture at the end of World War II in Europe. Remains discovered in 1972 later conclusively proven to be Bormann by forensic tests on the skull in 1998. Nonetheless, Simon Wiesenthal, Hugh Thomas and Reinhard Gehlen refused to accept this. Gehlen further argued Bormann was the secret Russian double agent ‘Sasha’. Hans Fritzsche — Acquitted. Tried, convicted and sentenced to nine years imprisonment by a separate West German denazification court. Released September 1950. Hermann Göring — Guilty, sentenced to death, committed suicide before execution. Alfred Jodl — Guilty, sentenced to death by hanging, Henri Donnedieu de Vabres called the verdict a mistake in 1945. In 1953, the denazification courts reversed the decision and found Jodl not guilty. His property, confiscated in 1946, was returned to his widow. Franz von Papen — Acquitted. Tried, convicted and sentenced to eight years imprisonment by a separate West German denazification court. Released on appeal in 1949. Alois Brunner – Guilty, sentenced to life imprisonment (in absentia). Rumored to have died in 1992, but was believed by some to still be alive in Syria. Steigal Krups-Wichtenschneizalberg – Guilty of soliciting Jewess prisoners and poisoning Jewish prisoners at Auschwitz. Wilhelm von Leeb — Guilty, released after judgement due to time already served. Plus nine other Germans who were executed for their War Crimes at Belsen. Other trials were held at various locations in the Far East, by the United States, Australia, China, the United Kingdom, and other Allied coutries. In all, a total of 920 Japanese military and naval personnel and civilians were executed following World War II. Amon Goeth — executed on 13 September 1946 for his War Crimes. Søren Kam, (born 1921) Member of the Nazi Party of Denmark, who fled from Denmark to Germany after the war, and later became a German citizen. On September 21, 2006, Kam was detained in the German town of Kempten im Allgäu. He is wanted in Denmark for the assassination of Danish newspaper editor Carl Henrik Clemmensen in Copenhagen in August 1943. Richard Baer (1911 – 63). Sturmbannführer, commander of the Auschwitz I concentration camp. Lived under the pseudonym of Karl Neumann after the War. Then discovered in 1960 and arrested. Karl Frenzel, (born in 1911) An Oberscharführer who served at Sobibór extermination camp. Frenzel aided in the implementation of the Final Solution, taking part in the industrial-scale extermination of thousands of prisoners as part of Operation Reinhard. Sentenced to life imprisonment in 1966 but released in 1982 due to his ill health. Fritz Knochlein — (born in 1911) Responsible for Le Paradis massacre in 1940, tried, convicted, and hanged by the forces of the United Kingdom in 1949. Kurt Meyer — Sentenced to execution, commuted to a life sentence, later reduced to 14 years’ imprisonment, served for 10 years in prison. Rodolfo Graziani — sentenced to 19 years’ imprisonment for treason, released after just a few months. He died in 1955. Masaharu Homma — convicted of War Crimes, sentenced to death, then executed on April 3, 1946. Konrad Kalejs (26 June 1913 through 8 November 2001) — Immigrated to Australia in 1950; moved to the United States in 1959; deported from the United States to Australia in 1994; fled from Australia to Canada in 1995; deported from Canada 1997; moved to England; and then to Australia. Died in Australia in 2001. A member of the Arajs Kommando. Boleslavs Makovskis 21 January 1904 – 19 April 1996. Fled to From the United States to West Germany in 1987; put on trial in 1990; but his trial was quashed before its end. Elmars Sporgis (26 November 1914 through 10 July 1991) Exonerated in 1984. Vladas Zajanckauskas In 2005 at the age 89, his U.S. citizenship was ordered revoked in 2007. He was ordered to be deported. Reblogged this on The Communicator. 3.Hans (Antanus) Lipschis (age 95. Last known status: Arrested in Germany, 2013, found unfit for trial due to dementia).